Fill Your Patio Full of Containers With Pizzazz! Plant containers from the nursery can be functional and attractive, but also boring and expensive. They come in three basic shapes: round, square, and rectangular. Boring! 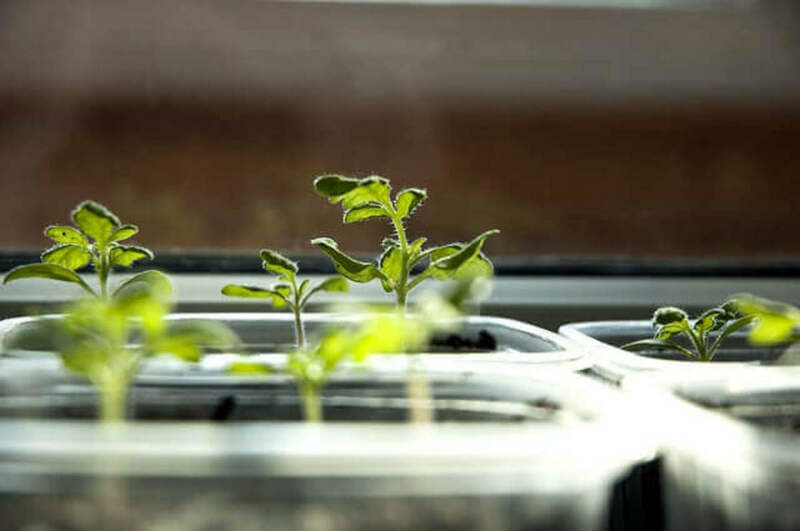 Save money, be creative, and "go green" by turning everyday items into container gardens. With a little imagination, almost anything can become a planter, adding variety to your garden display. 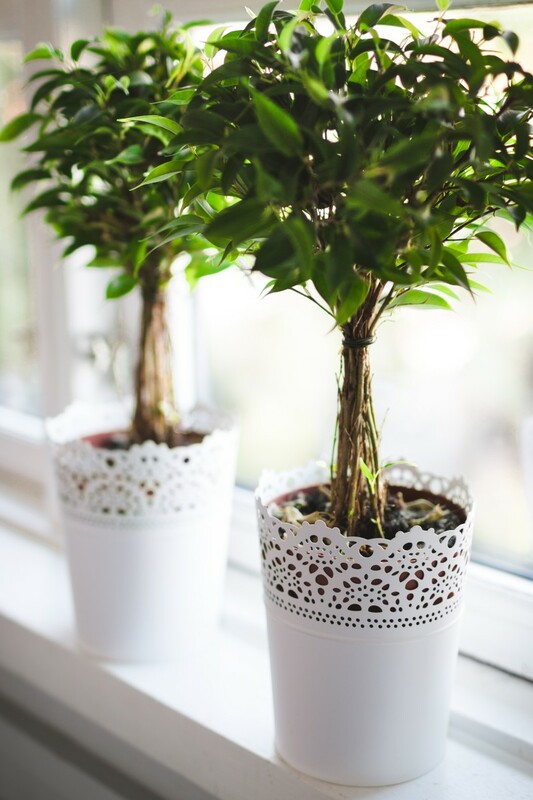 As long as the item is bigger than the plant that you want to grow in it, has adequate drainage holes, and is non-toxic, it will make a good pot. 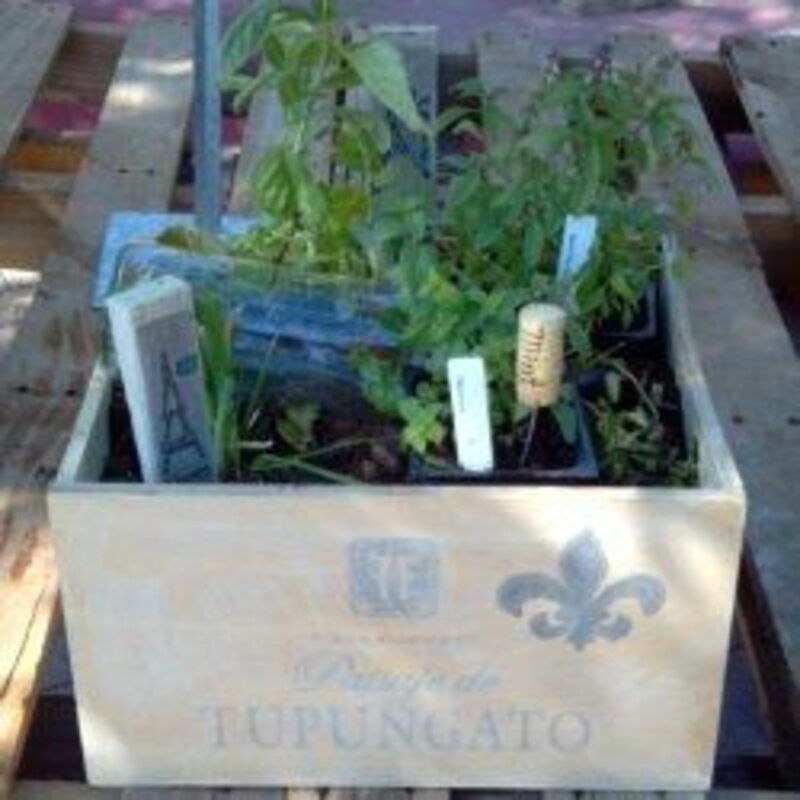 This article will show how to make a pretty herb garden out of a recycled wooden wine crate. Obtain wine crates from beverage or antique stores. With the advent of beverage superstores, sourcing wine crates as become very easy in my area. One of these beverage stores offers very nice wine crates for $5 each. Ask around, as they may even give you the the crates for free. Wine and fruit crates—as well as other types of wooden boxes— are often available at vintage or antique stores, although you will pay a little bit more for them at these locations. I have found many unique items for the garden at thrift stores, as well. Wine crates are available for sale online. I have found this to be the most expensive way to purchase them. Check local ads on Craigslist as an alternative to buying retail. Another option is to order a case of wine. Fine wines generally ship in wooden crates, and you will have 6 or a dozen bottles of wine to enjoy as a side benefit! Start by using a hammer to nail any loose edges back into place. Use a low V.O.C. glue, such as Elmer's Wood Glue, to reinforce the seams. Paint or spray the box with a protective wood sealer or condition. This will prevent, or at least delay, warping and decay that will occur over time as your box repeatedly comes in contact with water. Note: I do not recommend lining the box with plastic to protect it from water damage because plants need drainage and airflow, which non-porous materials would prevent. I also do not recommend sealing it with any product that is potentially toxic, especially for boxes that will hold edible plants. The toxins could potentially leach into the soil and be taken up into plant tissues. This could be harmful to the plants, and to you, if you eat them. I recommend using a non-toxic, natural or organic product, such as homemade milk paint. 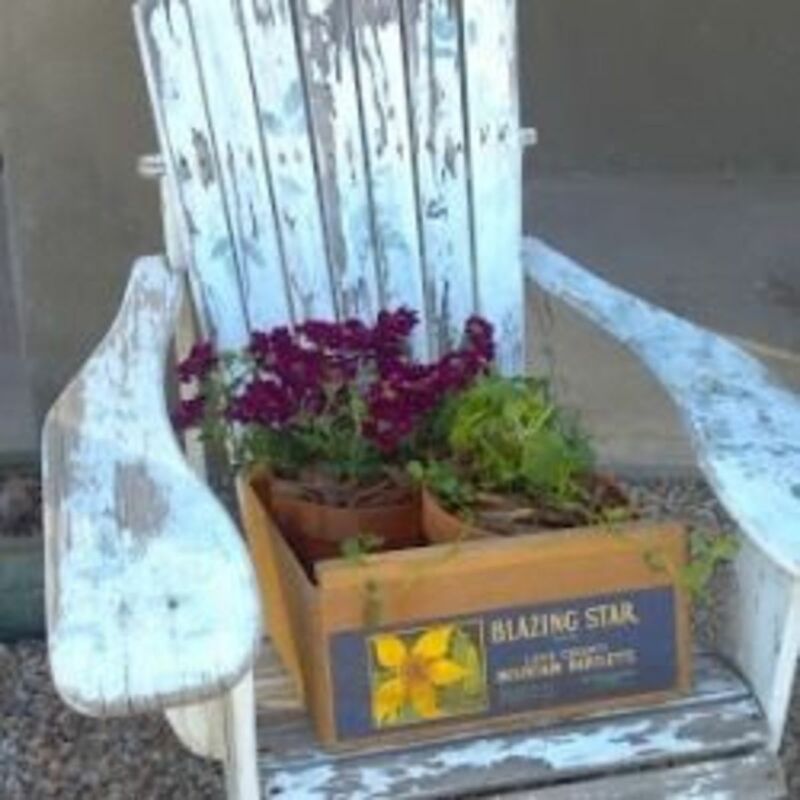 For more information about products that are safe for edible container gardens, a recipe for milk paint, and information concerning the toxicity of V.O.C.s, read Safe Wood Sealers for Container Gardens. Ensure adequate drainage in your garden containers. Ensure that your crate has adequate drainage so that your plants do not stand too long with "wet feet." Plants roots need water, and they also need access to air to remain healthy. Waterlogged plants are susceptible to pest infestations, root rot, and other diseases. To accommodate plants' drainage needs, drill holes in the bottom of your box, being careful not to drill too quickly and split the wood. Start with a thinner drill bit, and work up to the size hole that you want using progressively larger bits. Ideally, drainage holes should be 3/8" to 1/2" in diameter. Add a hole on the side of the box that is large enough for 1/4" irrigation tubing if you would like to add your herb garden to an existing drip system. 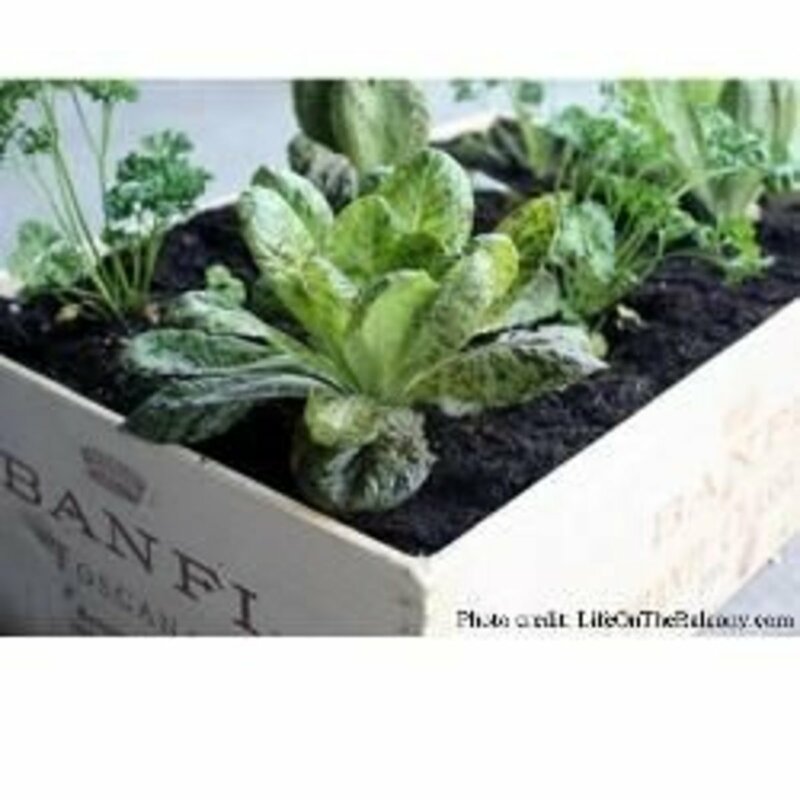 Cut a piece of landscape fabric, burlap, window screen, or other porous material to line the bottom of the box. This will hold in the soil and prevent pests from entering. Measure the correct size by setting the box on top of the fabric and cutting around the outside edge. The fabric will fit with a little bit extra at the edges. If your crate has slates with spaces in between, cut a large enough piece of fabric to line the entire interior of your crate and attach it to the upper inside edges with a staple gun. Raise the box off of the ground with bumpers, feet, or casters so that it does not sit in the water that drains out of the bottom of the box. Rubber bumpers are self-adhesive, so there is no danger of splitting the wood with a drill or screw. Plastic feet, like those that are attached to the bottom of chair legs, have a thin nail that can be tapped carefully into the corners of the crate. Though they require larger screws and carry more risk of damage to the crate during attachment, wheel casters will allow the box to roll so that you can move it into and out of the sun. I recommend attaching 5 casters; four on the corners and one in the middle to support the bottom of the box. Some crates may be constructed of wood that is too thin to support casters. If this is the case, cut a piece of plywood the same size as the bottom of the box. Attach it with wood glue and allow it to dry thoroughly before drilling drainage holes. 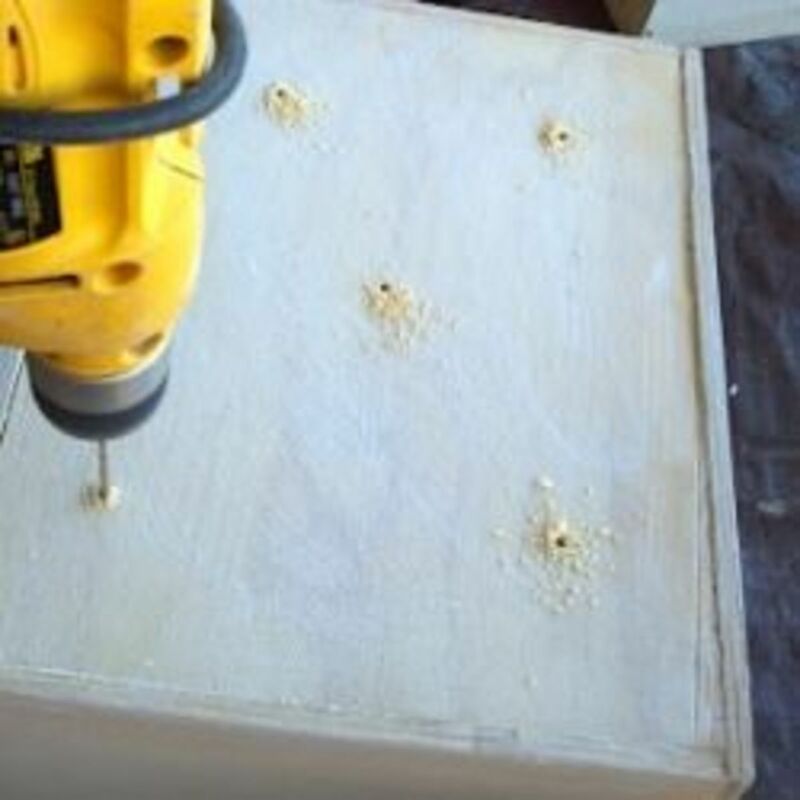 Once dry, drill holes through the bottom of the box and the plywood, and then attach the casters. Fill the crate with potting soil and soil amendments. In general, native soils from your yard are not suitable for container gardens. Use your own compost or purchase potting soil from the nursery or hardware store. Container soils tend to quickly become compacted and nutrient deficient. 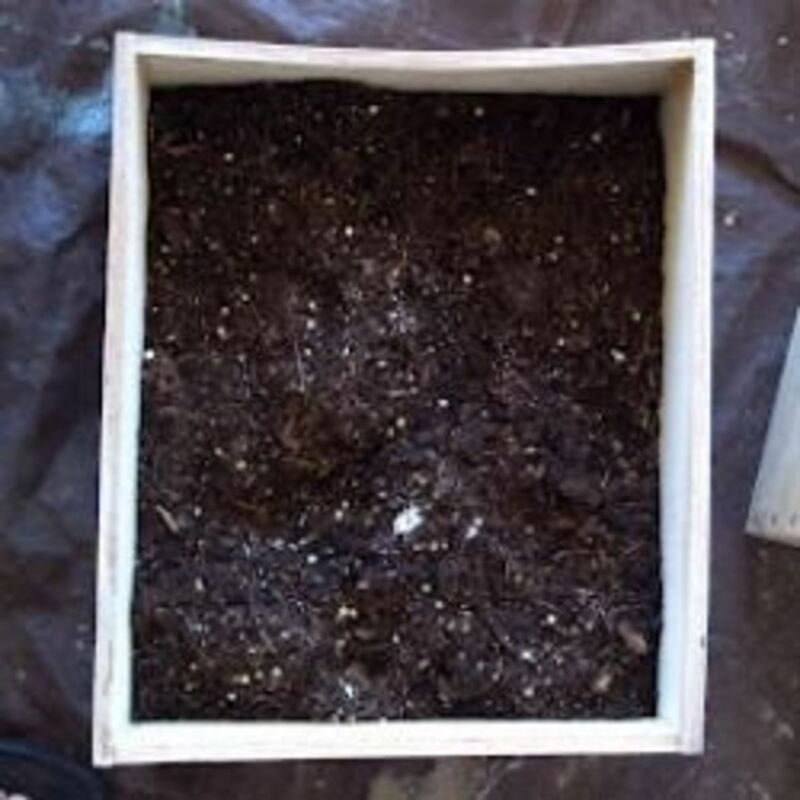 To improve the texture of the soil, mix one part potting soil, one part pumice or perlite, and one part shredded sphagnum peat moss or vermiculite. The addition of some compost also aids the soil structure, and it adds nutrients. Herbs are great plants for container gardens. Select a few starter plants from the nursery that are in season and the right size for the box. 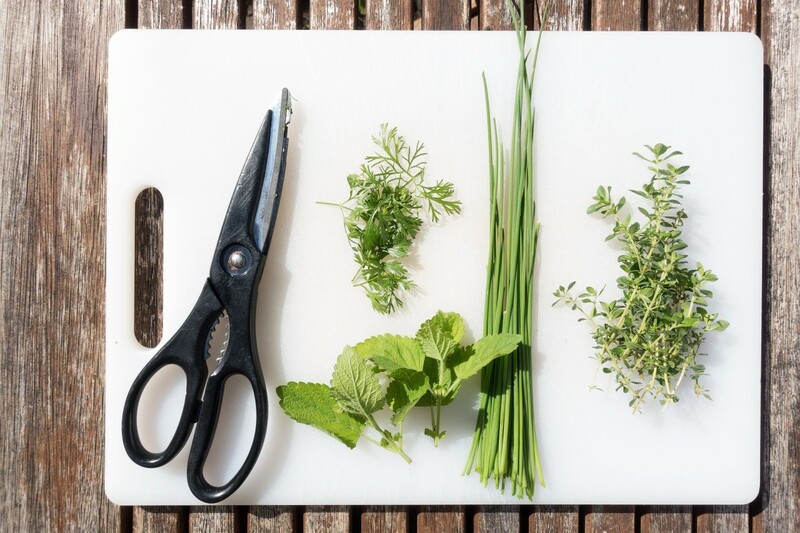 Herbs are very good choices because they tend to be hardy and have relatively shallow roots. Do not over-plant the crate. Tiny transplants may look small and lonely at first, but they will quickly grow and fill in the empty spaces. 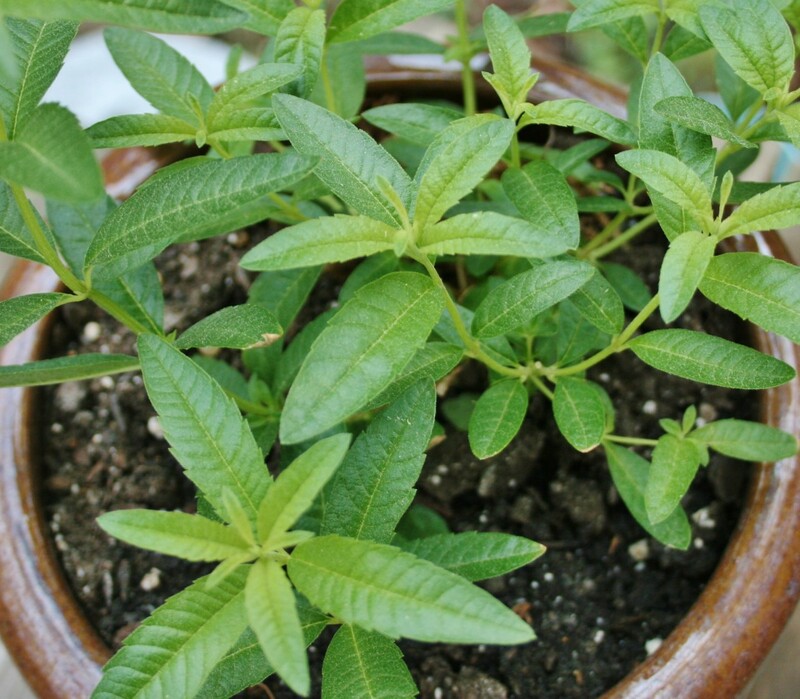 To remove a starter plant from the nursery pot, place the stem between two fingers and tip the pot upside down, using gravity to ease the plant out of the container and into your palm. Do not pull or damage the stem. Tease the roots apart gently (just a little bit). Place the plant into a prepared hole that is just as deep and a little bit wider than the root ball. Backfill any empty spots with soil and water lightly to settle. Cover the top of the soil with chipped bark, straw, rocks, or other mulching material to slow moisture loss due to evaporation and help to maintain an even soil temperature. Add plant labels to your garden. Add some plant markers large enough to display the name of the plant and the planting date as well as estimated days to harvest, if applicable. I also like to note on the back of the marker any unusual care instructions or anything else that I want to remember about the plant. Markers can be purchased at the nursery or made out of wooden tongue depressors. Or you can get creative and make them out of unusual items. I have seen cute markers made out of spoons, chopsticks, painted river rocks, and various other materials that are able to withstand sun and water. 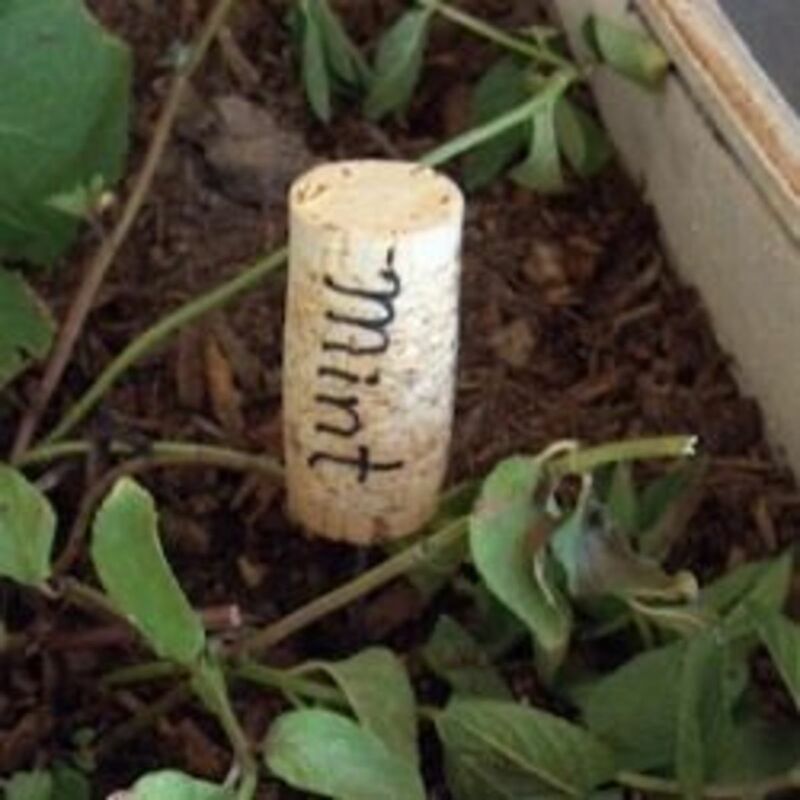 For this project, I wrote "Mint" on a wine cork and stuck a piece of wire in the bottom to create a whimsical marker. I had some leftover milk paint, so I painted the exterior of the box and two wooden shims, on which I drew an Eiffel Tower and wrote the plant names with a permanent marker. To add more interest to the box, I used etching cream from the craft store to imprint an empty wine bottle with the word "herbs" and painted a fleur-de-lis on the front of the crate. 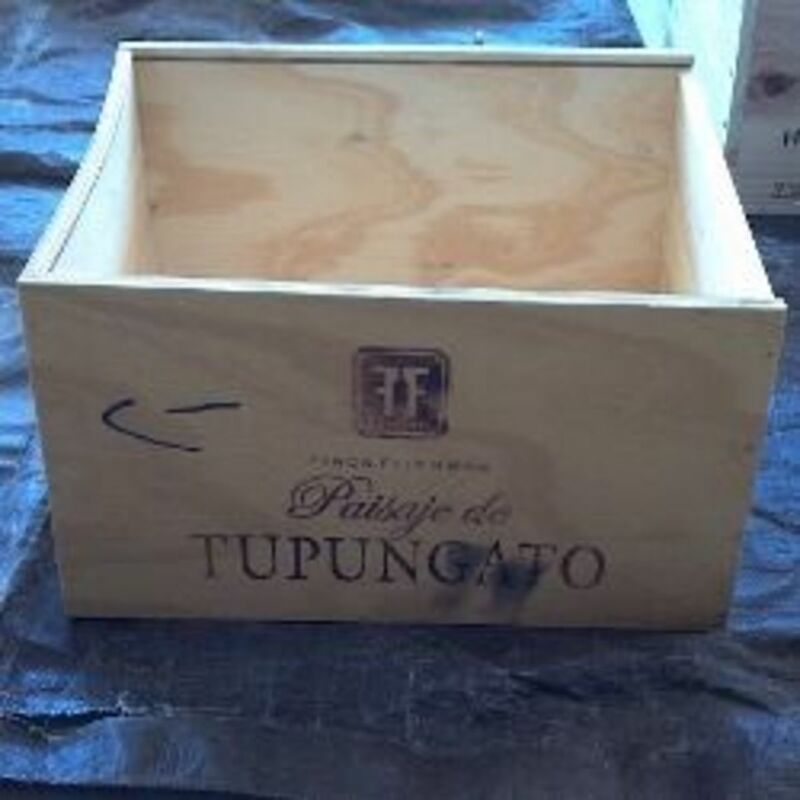 I realize that the brand of wine displayed on the crate is not of French origin, but this box is intended as a gift for a friend who loves French décor. Give your herb box adequate water and nutrients. Container gardens can dry out quickly when the humidity in the air is low. Check the moisture in your soil by sticking your finger a few inches down into the pot. If the top three or four inches of soil are dry, it's time to water. It is better to water heavily every few days than just a little bit every day, especially if salt in your local water is a problem. If so, make sure that liquid runs out of the bottom of the crate every time you water, washing away salt build-up from the soil. Your container should not need fertilizer for the first couple of months. 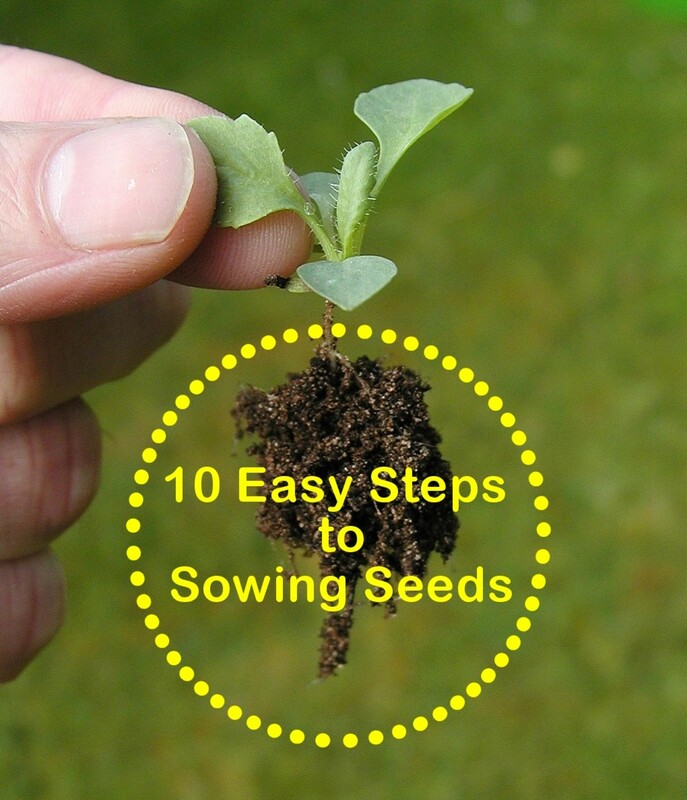 After that, begin to feed your plants with a balanced fertilizer. If you are following the guidelines above and allowing liquid to run out of the pot every time you water, you will wash away some nutrients along with the salt. I recommend fertilizing twice as often and at half the strength recommended on the fertilizer package. This provides my plants with steady nutrients without the risk of burning them with too much nitrogen. Give your little garden adequate sunlight. When you purchase your plants, the tag should tell you whether the plant likes full sun or if it will appreciate some shade. If you notice that plants are turning light green or yellow, and that the stems are growing long toward the light, move the crate into a sunnier spot. 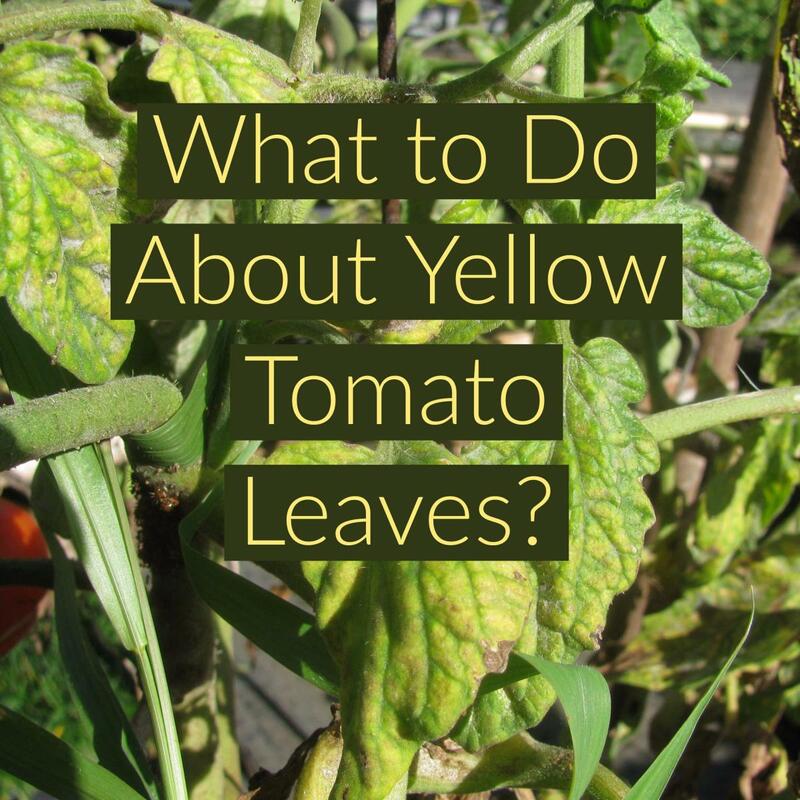 If the leaves are getting spots that are brown and crispy, it may need a little bit more shade. Practice makes perfect when caring for plants. At my house, when a plant dies, I throw it in the compost pile without a bit of remorse and plant something else in its place. What unique plant containers are in your garden? I would love to hear from you. Leave your comments, questions and gardening advice here. Should you add rocks at the bottom of the wooden planter or is that mostly used for succulents and such? I have ten wine crates ready to go. What paint should I use to protect the crates that is safe and non toxic? I am going to plant with my little girls. I am so excited. 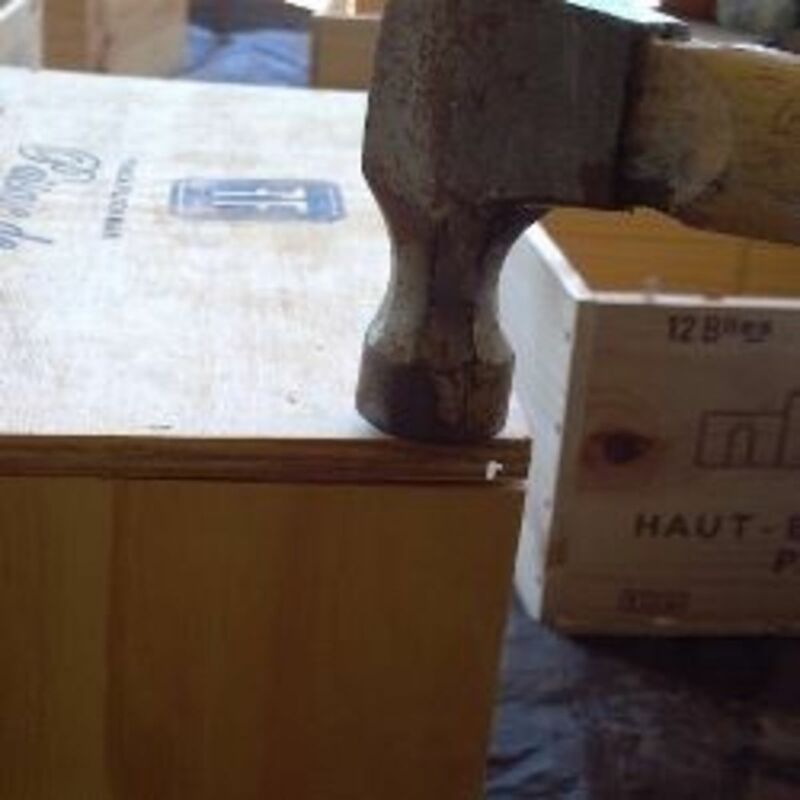 Do you recommend that I remove the wood slats inside that held the wine? Thanks!!! Ready to start blooming!!!!! Thank for your post. I have planted in a bird bath. You've given me yet another reason to drink wine! I shared your lens on our G+ page today, so come and check it out! 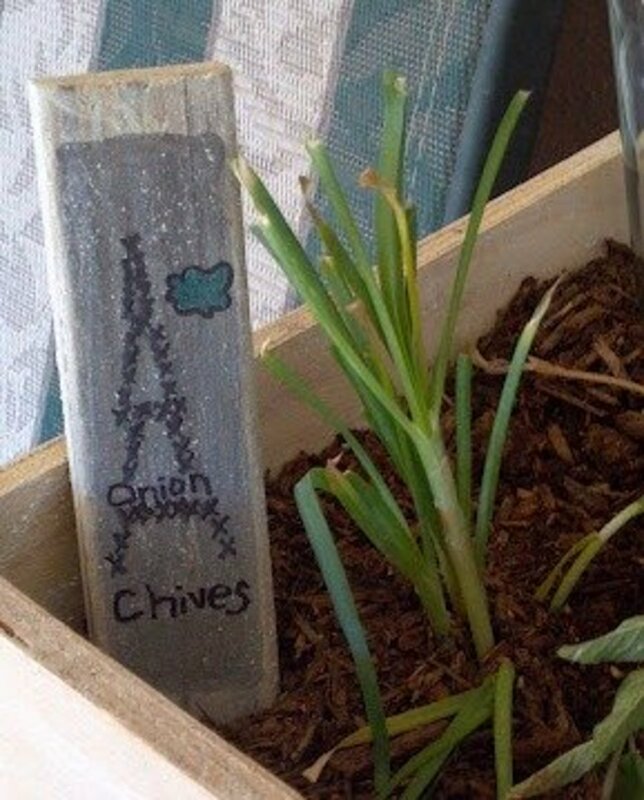 Love this creative container idea! 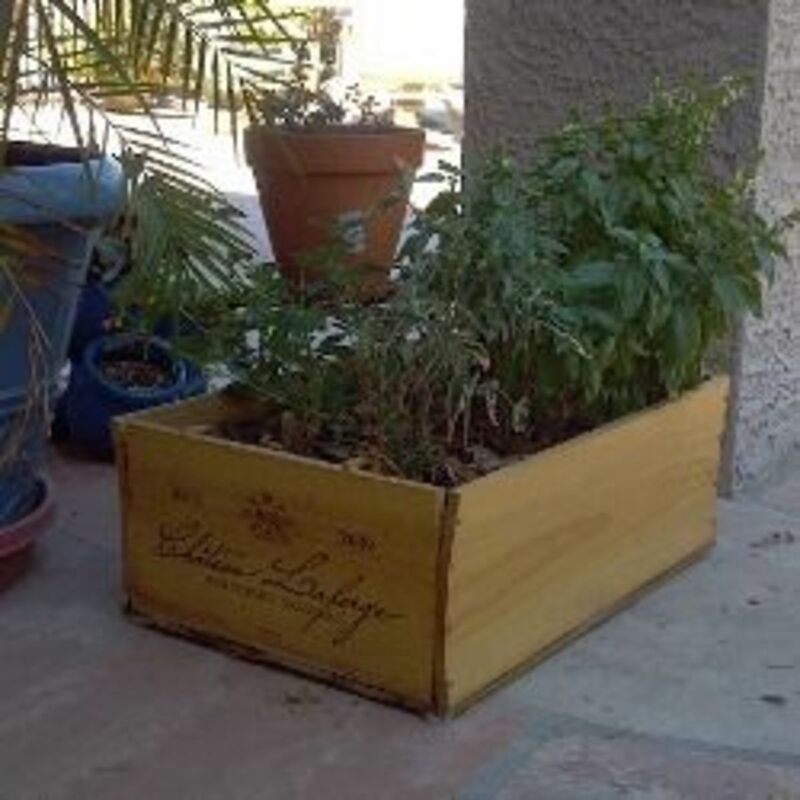 What a great way to repurpose an old crate. We're (fairly) ecologically conscious and (usually) broke, and between the two our household has a strong affection for unique container ideas. This is an excellent lens. I love the ideas. Thanks for the information. @anonymous: Thank you so much! Great ideas and will be back to read more. thanks for the good info and the milk-paint link!